With thousands of beers out there, trying to keep track of your likes and dislikes without the Untappd app can be tough. Craft beers have become a recent trend that won’t be going away anytime soon. Many bars and pubs in Downtown Las Vegas are serving more craft beers and supporting regional and national breweries, but it can be difficult during a pub crawl knowing which beers are being served in which bars or even which are the best drinks to order in Vegas. Untappd App to the Rescue! Untappd is the perfect app for anybody who enjoys unique craft beers or just plain beer in general. This application, which can be accessed on any iOS or Android device, serves as a social platform for beer drinkers. See where your friends are checking in and the beer choices they’re making. Then, meet up with them to have an awesome night out trying cool and exciting beers. Keep track of your friends and beers on your next pub crawl. The Untappd app is great when you’re looking for things to do in Las Vegas or taking a Vegas pub crawl. After you find a beer that you quite enjoy or one that didn’t pique your interest, open up the Untappd app. Snap a picture of the bottle and rank it to your taste. Share the check-in on Twitter, Facebook, or Foursquare. Your friends will know you’re somewhere having fun and they can try the beers you give four to five stars. 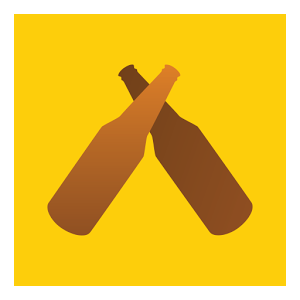 Untappd keeps a log of beers and places you visited, as well as awards badges based on certain criteria. Depending on your taste preferences and rankings, Untappd will make suggestions on beers you may enjoy. So, not only will you remember the beers you want to avoid, but you’ll also have a whole new list of things to try! Stop wandering around hoping you’ll find the beer you love. Our Vegas Pub Crawler guides do their best to get Las Vegas locals and visitors to the best bars in Downtown Las Vegas. Unfortunately, not every great bar has every great beer. The Untappd app can do what our guides can’t always pull off. You can use the app as a location finder. If you’re in the mood for a specific type of beer but are unsure of where to find it, you can search for the beer, and Untappd will show you which bars have it in stock. The app allows you to set up a wish list of beers you would like to try out. You will finally stop forgetting the name of that beer your buddy was telling you about. Untappd keeps up with the beers that are trending in your area as well. You can find and try the newest brews to hit Las Vegas. 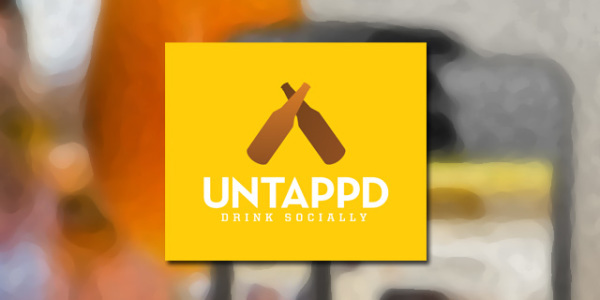 Download the Untappd app and start using it during your Las Vegas Pub Crawler tour. You can search nearby bars and pubs and try out new places you haven’t heard about. It’s research, really. You owe it to the beer community to get on that cycle pub and take notes!